Do you remember the day you asked Jesus to become the Lord of your life and asked Him to forgive your sins? First you repented of your sins and trusted in Jesus Christ. In that moment you were justified, or declared righteous before God. The word justified is important. It refers to your status before God. When you put your faith in Jesus, God, the Judge, hands down the verdict that you are righteous. He transfers the perfect, sinless record of Jesus to you. This is an amazing grace because in the moment that you first believed, God completely and totally forgave you or all your sins. He not only blotted the record of your sins away, He credited the righteousness of His Son to you. Justification means to be declared righteous. It is our position before God. 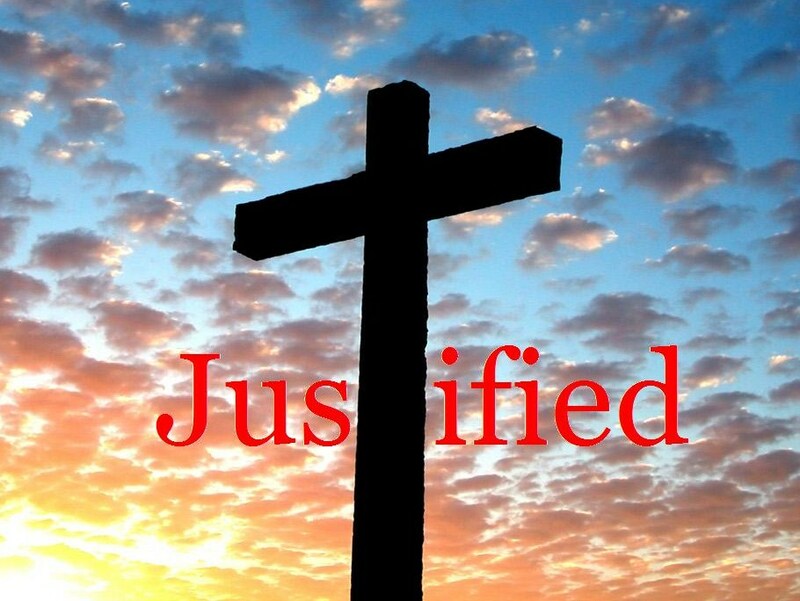 Justification is what Christ did for us. It takes place immediately and is complete upon conversion. It means that the believer that just accepted Christ or the saint that has known Jesus for many years are justified in the same way. Justification means being totally justified in the sight of God. Sanctification is the process of becoming more like Christ, of growing in holiness. This process begins the instant you are converted and will not end until you meet Jesus face to face. Sanctification involves work, so empowered by the Holy Spirit that we fight against sin, we study Scripture and pray. We flee temptation when we are faced by it. As we trust the Lord and strive for holiness, we are being conformed to the image of Jesus Christ. As we practice sanctification – Christ works within us. In contrast justification happens once for all, upon conversion. Sanctification is a process. We will be more sanctified as we continue in grace motivated obedience. “Therefore no one will be declared righteous in his sight by observing the law . . .” – Romans 3:20. None of us can earn God’s approval and love by our good works. None of us can add to the finished complete work of Jesus on the cross. He paid the price of our sins. Our participation in the process of sanctification comes only after we have been totally accepted and made right before God through faith in Jesus. So if we love Him, we should work hard at obeying God’s word. We read the Bible, pray and meditate on Scripture. We memorize Scripture and share the gospel. We need to remember that it is not through works that we are justified. Our work is motivated by the grace God has poured out in our lives. Praise God that we can approach His throne with confidence because believers are clothed in the righteousness of Jesus Christ.